Oru Yamandan Prema Kadha is a Malayalam comedy movie, has been directed by BC Noufal. 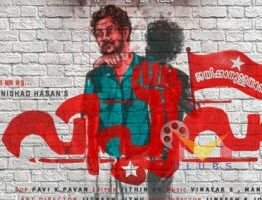 The movie star Dulquer Salmaan, along with Dulquer Salmaan, Oru Yamandan Premakadha also features a long list of actors in important roles. Nikhila Vimal and Samyukatha Menon essays the roles of the leading ladies. Salim Kumar, Soubin Shahir, Vishnu Unnikrishnan, Hareesh kanaran, Dileesh Pothen, Dharmajan Bolghatty, Baiju, Ashokan etc., are also a part of the star cast of the movie.